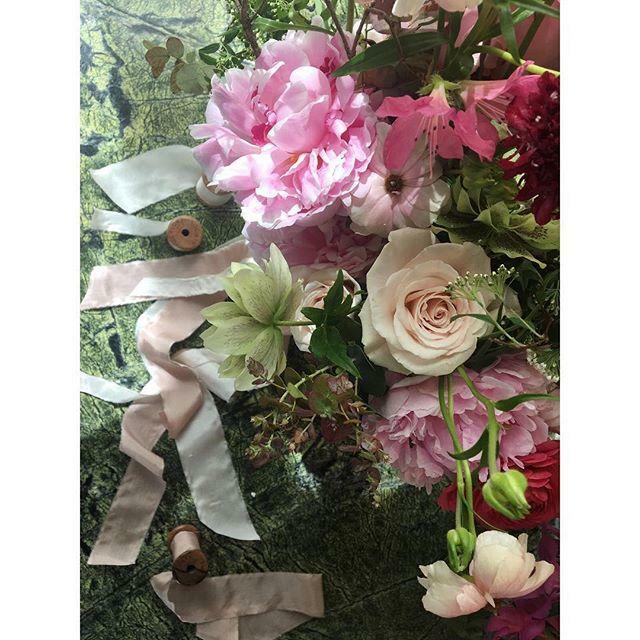 We've waited many months to finally use our @thefloralsociety hand-dyed silk ribbons on our bouquets. Today is the day! Congratulations Joey & Ben and happy wedding day!